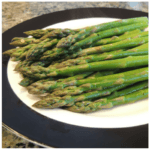 Asparagus is in season during the early to late spring months, peaking around Easter. That’s why it makes an appearance on our Easter menu almost every year. This delicate vegetable shines even when simply steamed and served with a touch of butter. 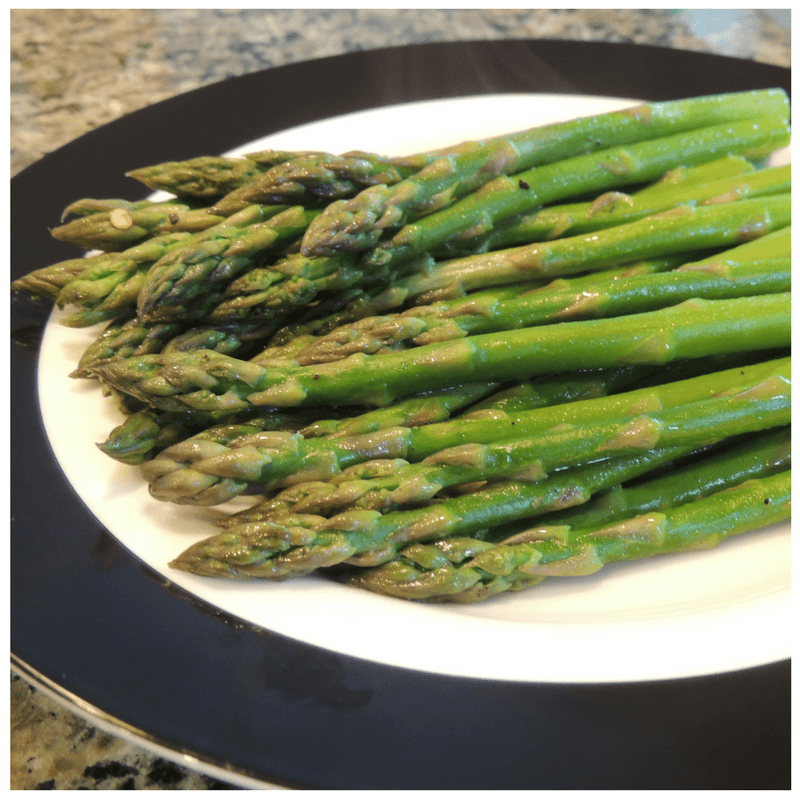 You can dress up streamed asparagus by drizzling some homemade French vinaigrette over it, or by garnishing it with fresh herbs from your garden (or grocery store). Chives are the first obvious choice because they’re one of the few herbs that thrives in early spring. Depending on the climate, you might have a rosemary plant that survived either outdoors or indoors. Rosemary is strong, so use just a little. Other herbs that work well with asparagus will need to be purchased in the early spring, unless you live in a very mild climate. Try dill, tarragon or basil. Lemon balm is another great herb to combine with asparagus, and it’s very easy to grow. In fact, you’ll want to keep it in a container so it doesn’t take over the whole garden! 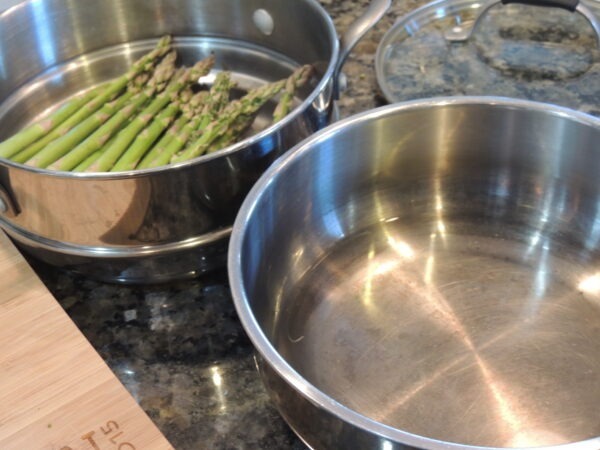 So, get your steamer out and start enjoying tender green asparagus spears while they’re in season! Asparagus doesn't need much. Steam it and toss with a little butter, salt and pepper and let the vegetable be the star. 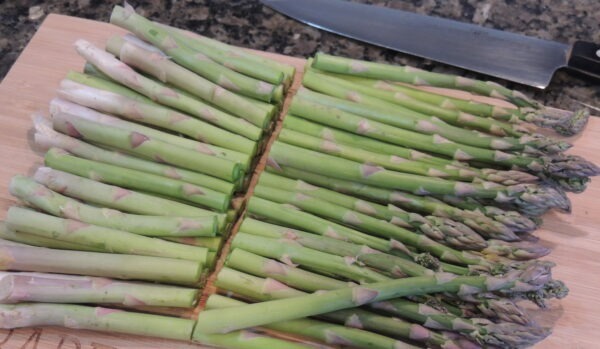 Trim asparagus by cutting off the bottom, light-colored part of the stem, leaving the top 6 inches or so. (Make the cut on a diagonal for a prettier presentation if desired.) Discard the bottom parts. Remove the steamer and empty the saucepan. 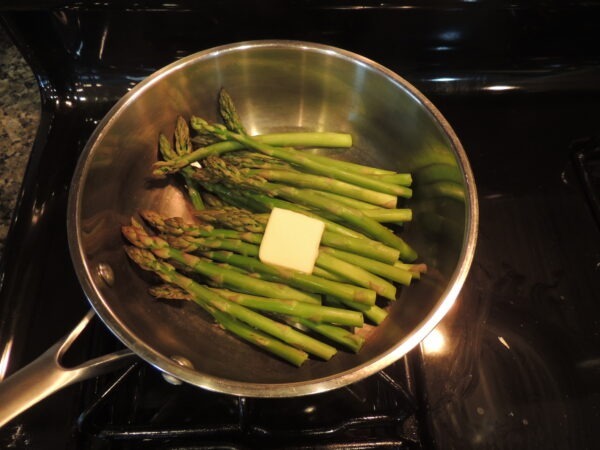 Transfer asparagus to saucepan and toss with butter to melt and coat. Add salt, pepper and optional red pepper flakes. Toss again. If desired, add fresh herbs like chives, dill, tarragon, lemon balm, rosemary or basil. Serve warm or at room temperature. Serve with other delicate tasting foods, like fish and rice or boiled baby new potatoes.